OKC Metro is one of the fastest growing areas in the state, and it doesn’t seem to be slowing down anytime soon. There isn’t a shortage of apartment options in the Oklahoma City Metro. It’s a bustling area with plenty to do, and if you find yourself in the area for college, work or just a new place to live, here are the best apartments in OKC. Quail Springs is near almost any activity you could want to do in OKC including indoor skydiving, a movie theater, driving range, bowling, shopping and more. You can also find dozens of restaurants to accommodate any craving. If eating in is your preferred option, grocery options will keep your pantry stocked and fridge full. Quail Springs is growing fast, with families and new businesses moving in every day. We have two apartment complexes just off May and Pennsylvania Avenues that keep you close to the fun. With easy access to highway 74, a drive to the city is just minutes away. The turnpike keeps traffic moving so you can get where you need to be with less hassle. Come visit Quail Run and Quail Ridge apartments. You will be surprised at the space offered, and the stunning recent renovations we’ve made. Maybe the hustle and bustle of life on the town isn't exactly your forte. You get enough of it when you go to work, so you just want to come home and relax. If you do want to go out, it's on your terms. It can be nice to have the freedom to breathe easy outside and not feel the pressures of the town around you. That's why we have options near Lake Hefner. Come and jog around the many parks that line the lake. Dining and shopping options are a short drive away, but you may want to stay in and enjoy the peace and quiet. Stonebrook is the place to live for the quieter lifestyle in a busy town. It’s situated in a neighborhood across from the lake, offering serenity every time you come home. With several floor plan options, we think you’ll love the location. On the northern end of Oklahoma City is the wonderful town of Edmond. It’s a short drive to Midtown, and it has easy access to major highways. It has small town flair and big town names. Restaurants and shopping centers offer you a robust list of entertainment options. With some of the best schools in the state, Edmond has a lot going for it. It’s a perfect area to raise a family or attend college at UCO. We have options for you in the center of it all just off 2nd Street, which is the main road through Edmond. It’s far enough away from the highway, but close enough that gets you to anywhere you want to go in a flash. 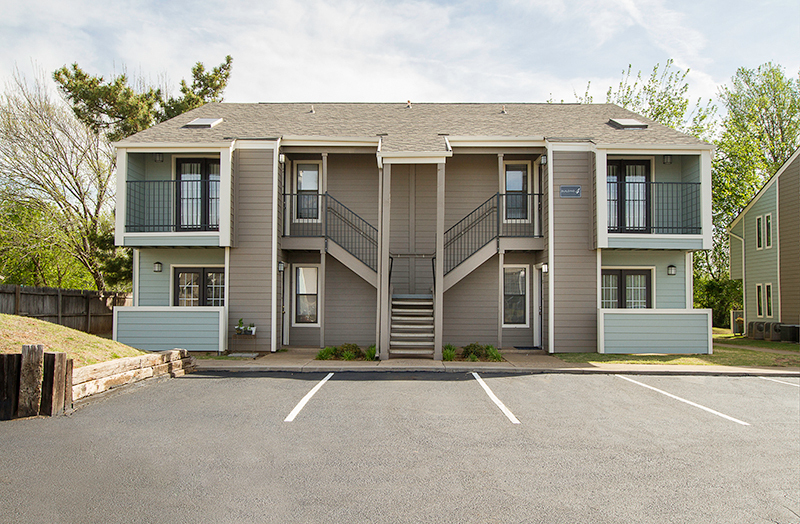 Take a tour of Kickingbird and Kickingbird Hills, and you’ll find spacious floor plans and affordable rent that fit any budget. Don't be near the action, be a part of it. There are plenty of options that get you close to the city, and that’s fine for some people. But the best part of living in a city is the culture and the feel of the people that inhabit it. Seeing it from afar just doesn't quite cut it. La Villa is the perfect center point for everything to do in Oklahoma City. It is a few minutes away from downtown OKC, and a short drive to Lake Hefner for a relaxing evening. With floor plan options ranging from 1 bed, 1 bath to 3 bed, 2 baths, you have plenty of space to grow and explore. If we say, “Boomer,” you say “Sooner”! Norman is a true college town with a lot of pride. It’s only about a 30-minute commute to OKC, so while it’s out of the city limits, you can still enjoy being close to town. Norman has an adorable downtown with delicious dining experiences and some of the best shops around. If you are coming to school, there is no other place to move. You will want to stay nearby. The Landing on 9 offers easy access to the University of Oklahoma from the south with direct access to Highway 9. Alameda Pointe puts you near the heart of downtown Norman within walking distance of restaurants and shops. West of I-35, Norman gets a little quieter. Don't let that fool you though, there is still plenty to do. With Sooner Mall right around the corner, Parkway Plaza Shopping Center, and almost any dining experience you can hope for, you won’t run out of places to visit on your day off. Situated on Main Street, you get direct access to the interstate which pipes directly into Oklahoma City. There are few better places to be in Norman. Savannah Ridge offers up to 2 bed and 2 baths on the west side of Norman. Savannah Square and Savannah Harbor are right across the street from Sooner Mall and offer up to 3-bedroom floor plans. We hope this helps you make a decision for your next big move. If you’re visiting the metro to visit your potential new home, we’d love to answer any of your questions and help you find a place to stay. Call us at any of our OKC Metro locations, and we’ll be happy to schedule a private tour!